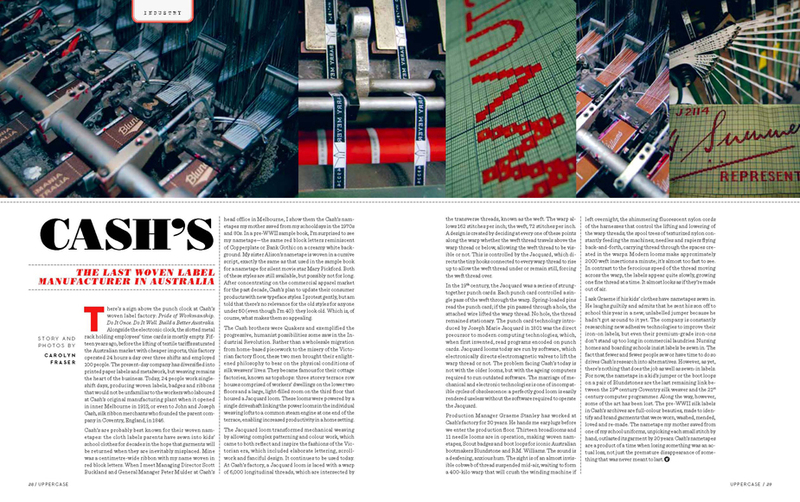 Earlier this year I visited Cash’s, the last woven label manufacturer in Australia. Janine, my editor at UPPERCASE, pieced together the short film clips I shot on my phone to make this video trailer for my article in Issue 13. A downloadable PDF of the article is here.